Updated Sunday February 18, 2018 by Ben Rinehart. Welcome to the Burlington American Little League Website. 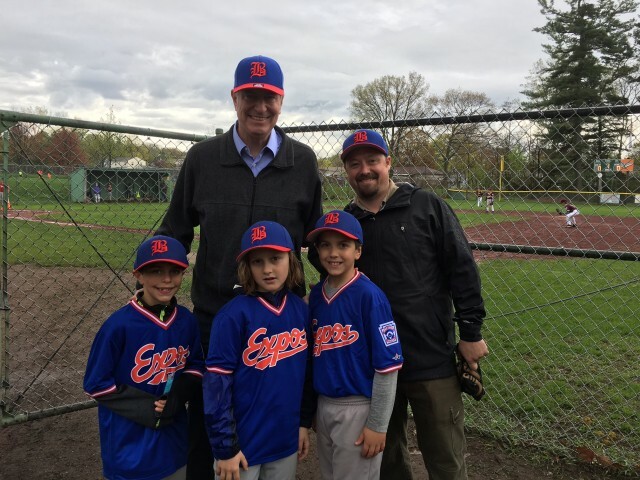 Burlington American Little League is open to boys and girls age 4-12, who reside or attend school south of Main Street in Burlington, VT. The home fields of the league are the Earl E. Simpson Field, and the Bentley Little League Field, both located at Calahan Park. We have have four different divisions of play, and all-star, summer ball, and fall ball teams. To learn more about the divisions, visit the "Divisions & Teams" page. If you are uncertain which division to register for or to learn more about the league, contact B.A.L.L. President Ben Rinehart. Contact information is located on the "Contact Us" page.